This year is focusing on the future of the Lake Street Corridor and the Council’s efforts to both spearhead and keep up with the changes. Questions? Call 612-822-1912 or email us. Volunteers will be present to repair computers, laptops, smartphones, and tablets and give technical advice about computers. The consultation and labor is free, but parts will be available for purchase. Learn more about the programming and partners! Food and beverages will be provided. For more information, email Beth Grosen or call 612-673-5002. Come join the Ward 5 Small Business Workshop with Congressman Ellison and Council Member Yang. Meet Minneapolis officials say the city has surpassed records in hosting major events, booking hotel rooms and hospitality employment, something that will be hard to replicate. The city's tourism and convention arm announced at an annual meeting Tuesday that the past year has been the most successful year for hospitality in Minneapolis. Minnesota exported a record $21.4 billion in goods and services in 2014, with small and medium-sized businesses responsible for a significant amount of the exports. The state’s exports contributed to a record high for the country as a whole in 2014 which hit $2.35 trillion in exports, according to the U.S. Department of Commerce — the fifth year in a row that the country has hit a record level. For years, two vacant buildings sat at the intersection of Central and Lowry Avenues in northeast Minneapolis. In 2011, group of dedicated neighbors came together to make a difference. The Northeast Investment Cooperative was founded, and a year later, the buildings were bought. Where those vacant buildings stand, there is now a bike shop, a cooperative brewery, and a bakery. Get connected to jobs in nursing, banking, transportation, health care, administration, medical assembly, interpreting services, and more! Please plan to arrive in professional clothing with a current resume and valid identification. This is a great opportunity to connect with young people who are eager to learn more about opportunities in your organization. Whether you offer employment, internships, job training, or volunteer opportunities, please consider hosting a free information table. The new 2015 guide is available. Find out who is hiring, get job search tips, discover employment resources, and locate non-employment opportunities. 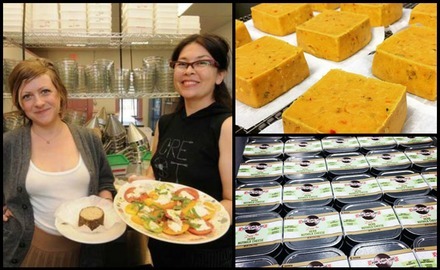 Originally a food blog, Punk Rawk Labs (PRL) is a rapidly growing dairy alternative gourmet cheese business. Run out of a customized kitchen in the Corcoran neighborhood that is part manufacturing facility/part lab, PRL is owned and operated by business partners Julie Morgan Wellman, Alissa Barthel and Heidi Ochsner. With a team of nine employees, PRL produces 300-800 delicious squares of 4 oz. cheese made from cashews, water, culture, and salt every five days using a process similar to traditional dairy fermentation. The cheese was not always square. In late 2014, the City of Minneapolis connected PRL to its Homegrown Loan program. As a Minneapolis business promoting sustainable food production, PRL was a perfect candidate for the program. With a $10K two-percent loan administered by MCCD, PRL redesigned their round packaging to a square container as well as used funds to save money and buy packaging in bulk. The investment paid off. PRL was able to reduce their price point and the new package made them more attractive to distributors as it was less likely to roll off the shelf. These two things helped seal a deal with a major distributor and gain a contract with 11 Seattle grocery stores (with the potential for distribution in 550 additional West Coast stores). The packaging change also keeps the product colder longer and increases onsite storage capacity. As Julie, Alissa and Heidi look to the future, they imagine they will need to add a second shift to meet the growing product demand. Longer term, they are considering expanding by adding a juice and retail shop, and are thinking about a second location on the West Coast. You can find PRL cheeses in any local co-op grocery. Flavors include original, herb, smoked with a pepper crust, and nacho. Truffle will be coming soon. On Monday, March 9, Mayor Betsy Hodges joined President Obama as he announced a new initiative called TechHire, focused on training and connecting Americans with the more than half a million tech jobs currently available. Minneapolis is among the first of 20 regions that will be participating in this new initiative, creating public-private partnerships to prepare workers for a growing number of technology jobs. TechHire focuses on empowering Americans with the skills they need, through universities and community colleges but also nontraditional approaches like “coding boot camps,” and high-quality online courses that can rapidly train workers for a well paying job often in just a few months. Many of these programs do not require a four-year degree. In response to the rapid growth in tech jobs, the Minneapolis region has developed three high-quality accelerated training programs to partner with TechHire to launch Minnesota residents from non-traditional backgrounds into the growing IT industry. As part of the TechHire initiative, these educational innovators – Prime Digital Academy, IT-Ready, and Concordia University – will expand their programs to train a combined 300 individuals this year for entry-level software positions. This will be made possible by commitments from over 60 employers and apprenticeship partners representing thousands of software development, networking, and technical support jobs throughout the metro. The City of Minneapolis is embarking upon a once-in-a-generation opportunity to design and build a new public open space in Downtown Minneapolis. The Downtown East Commons is a 4.2-acre site located next to new and existing office and residential buildings, light rail, and the new multi-purpose stadium. The Commons will serve the downtown community, workers, visitors, residents of Minneapolis and the region. It will also host events connected to the new stadium. On February 24, the City of Minneapolis hosted the first of three public meetings in the process to develop the design for the Downtown East Commons. 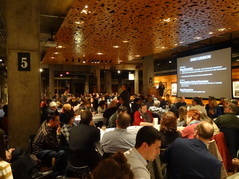 The meeting was held at the Mill City Museum, and over 150 people attended to meet the design team led by Hargreaves Associates, learn about the project background, and give input about how they envision the Commons. Main themes that arose include a desire for the Commons to serve as green respite for users, that it complements, but is distinguished from the nearby multi-purpose stadium, that it feel safe and inviting, that it is heavily programmed, and balances opportunities for active and passive uses. A strong interest in reducing the traffic impact of Portland and Park Avenues was also expressed by many attendees. Additionally, having the Commons served by a restaurant or café was also popular. For those who were unable to attend the meeting, the complete presentation is available on the Downtown East Commons website. Additionally, an online survey is also posted on the page for the public to share their views on the amenities, activities, and uses they would like to see in the Commons. The feedback from the February 24 meeting, the online survey and other public engagement activities will be used by the Hargreaves Team to design initial park concepts. These designs will be presented at a meeting scheduled for April 8, 2015. You can sign up for email updates on the project website. Artists will be embedded in five City department projects in 2015 as part of a three-year program that is bringing the expertise and unique perspectives of highly skilled community artists to help set City priorities. Creative CityMaking is a collaboration between Intermedia Arts and the City of Minneapolis pairing local artists with City staff to develop fresh and innovative approaches for addressing long-term issues facing Minneapolis. Artists Shá Cage and E.G. Bailey will work with department staff and consult with Minneapolis communities to identify important strengths or positive qualities in communities around the city, particularly in areas with the highest concentrations of poverty and people of color. These are important but intangible assets that communities value, but that may not show up on a standard map. For example, a community gathering place might be seen as an asset, or a person or informal network of people might be important to a community’s cohesion. The artists seek to map and creatively represent those strengths in ways that the City can use to develop plans and policies. Artists D.A. Bullock and Ariah Fine will work on this multi-year strategic action plan to ensure the City seeks and values all community voices. The artists will focus on helping make sure neighborhood organizations, City boards and commissions, and City enterprise outreach and engagement groups reflect the communities they serve. This program advances the City’s One Minneapolis goal: Disparities are eliminated so all Minneapolis residents can participate and prosper. Creative CityMaking intends to find ways to involve more people from communities that are typically underrepresented in conventional City projects and processes. Originally from Somalia, Abdifatah Abdullahi, or Abdi, grew up in Hagadher, the largest refugee camp in Kenya. 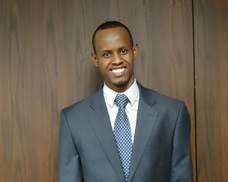 In 2011, along with his mother and siblings, Abdi moved from Hagadher to Minneapolis. While attending 9th grade at the Wellstone International High School, Abdi learned about STEP-UP during a presentation. The first year he applied, he did not receive a job placement. Not deterred, he applied again the following year and landed a position at the Wells Fargo banking store in Elliot Park. At first, Abdi was overwhelmed at the responsibility of working as a bank teller. However, when a manager suggested he think about the internship as a learning experience rather than a job, he decided to give it his all. Soon, he found that he really liked the work. Over time, his co-workers became like family. They provided encouragement, advice, and taught him that he could help customers have a great experience. He found himself being a trusted adviser for customers and appreciated the opportunity to give back to his community in that capacity. So, when the internship concluded, Abdi decided he wanted to stay on as a team member at the bank during the school year. As a promising young employee, Wells Fargo hired him. At present, Abdi works at the Franklin Avenue location. Abdi is not only a hard worker at the bank, but he is at school as well. A senior at Wellstone, Abdi has applied to and been accepted by several local colleges. This will allow him to be close to his family and continue to work at the bank while earning his degree in either civil engineering or dental hygiene. It will also allow him to mentor his younger siblings while they experience their own STEP-UP journeys. One of his younger brothers is participating in STEP-UP’s work readiness training right now and hopes to be placed in an outdoors job setting for this summer. 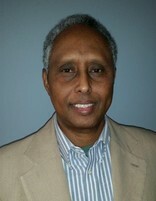 Ibrahim A. Noor is the Field Operations Area Manager at the Minneapolis South and North WorkForce Centers. He has been an employee of the Minnesota Department of Employment and Economic Development since 1999. Ibrahim was born in Somalia and began his career as a commercial pilot for Somali Airlines. He graduated from the Policy Fellows Program at the University of Minnesota’s Humphrey School and is now working on a PhD in Evaluation Studies at the U of M.
On Friday, February 13, over 250 youth-serving professionals, community leaders, and youth gathered for the fifth annual Minneapolis PARTNERS With Youth Conference. Bringing together leading experts and practitioners in the youth-work field, the conference proved to be an excellent opportunity for youth work professionals and young people to network and share experiences. 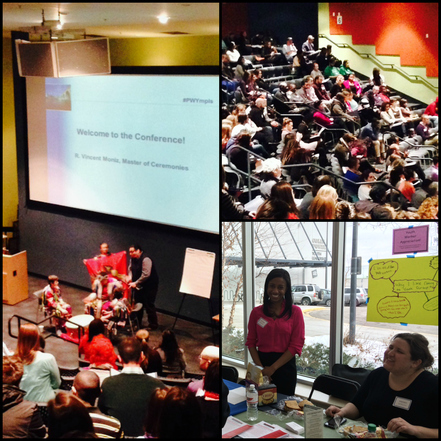 A wide variety of workshops and presenters offered inspiration, information, and engagement. A keynote address by Minneapolis Afterschool Network Project Director Fatima Muhammad introduced “What’s Up 612!,” a new online citywide program to help youth and families find afterschool activities for ages 5-21. The conference was sponsored by City of Minneapolis Employment and Training, City of Minneapolis Health Department, Minneapolis Youth Coordinating Board, National Forum for Youth Violence Prevention, and Youthprise. Growing MPLS is published monthly by the City of Minneapolis Community Planning and Economic Development Department. If you have questions, please contact rose.lindsay@minneapolismn.gov.